You know that the products you put on your skin don't just stay on the outside. Your skin, the body's largest organ, absorbs them. That's why I encourage you to use so many potent natural ingredients in your facial products. You want ingredients that can help transform the look of your skin. But your face isn't the only place you apply products to your skin. Have you thought about how your skin absorbs the products you apply elsewhere — such as your underarms? You probably don't feel the need to transform the appearance of your underarms. Other than shaving, you're probably just concerned with keeping them dry and odor-free. 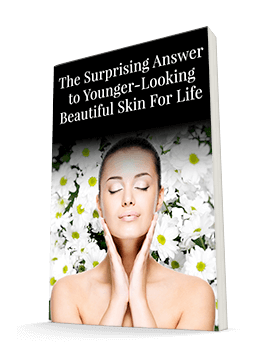 Nevertheless, the body is absorbing the products you apply to that area of skin. And these can be some pretty potent products. People often choose between deodorants and antiperspirants. According to one study, if all you're concerned about is killing off bacteria and keeping sweat-free, antiperspirant is probably your best bet. Researchers evaluated the bacteria of 17 participants' armpits over the course of eight days. For the first day, the participants followed their normal habits — five used deodorant, seven antiperspirant, and five no products at all. For the next five days, none of the participants used any underarm products. Then they used antiperspirant for two days. The researchers found that when everyone started using antiperspirant, their bacteria count dropped quite a bit. Those who used deodorant or no products at all had a lot more bacteria. Destroying bacteria might sound like a good thing. But it makes you wonder what's in those products that makes them so powerful. Many deodorant and antiperspirant products contain endocrine disrupters such as aluminum and parabens, chemicals, and toxic ingredients such as ethanol. These ingredients do kill bacteria. But they also get absorbed into your body through your skin, where they can cause damage. Recently, a patient sent me a link to a natural and unique deodorant. I was loathe to order it because natural deodorants typically don't do much. But I did and I was pleasantly surprised. It's made of healthy, safe, organic ingredients that actually benefit your underarms rather than damaging your body. This product is called Agent Nateur. Every single ingredient in the deodorant is even edible. I like being able to apply ingredients to my body that I am willing to consume in a different form. Women who have dense or cystic breasts or a history of breast cancer should be particularly careful about what they apply to their underarms. This product allows you to stay odor-free without dangerous chemicals. You can purchase this product at www.agentnateur.com. By the way, I have no financial association with this company. But I do wish them the very best because they are supplying women with not only a safe solution, but an effective one too!